Protein is very important for body. It is necessary to have protein rich food for growth of the body. However, the more use of protein creates many health problem. 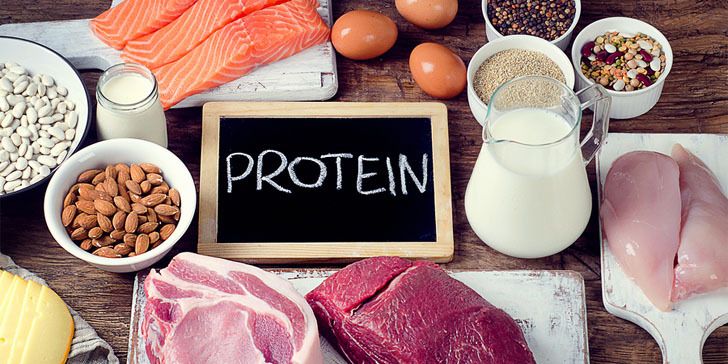 The main function of the protein is to build and repair the body. Weight: The more consumption of protein coverts in low carb diet. This increase fat in the body. This increases weight and it is difficult to reduce. Constipation: The more protein creates lack of fiber in the body. This may create stomach problem. Mood Swing: The more consumption of protein food creates mood swing. The lack of carb reduces serotonin in mind. Dehydration: By taking too much protein, many kidneys have to carry it out through urine with twice capacity. This increase lack of water in the body. Frequent urination removes magnesium, potassium and sodium from the body. Therefore more fruits, vegetables and beans should be consumed with more protein diets. Weak Bones: Bones cannot get enough amount of calcium due to high consumption of protein food. Therefore, bones cannot get proper energy. This creates weak bones. Heart Disease: The high protein increases the cholesterol and saturated fat in the body. This also increase heart related problem. The high LDL level creates many health problems. Diarrhea: The more consumption of dairy products and processed food increases the risk of diarrhea. Dizziness: Headache, weak mind, insomnia, dizziness, stress etc. denotes high intake of protein.